**Estimated Completion - October/November** The Hummingbird! Stunning 3 bedroom 2 bath home. Has a 3 CAR GARAGE!! From the large foyer to the open concept floor plan, this home will not disappoint. 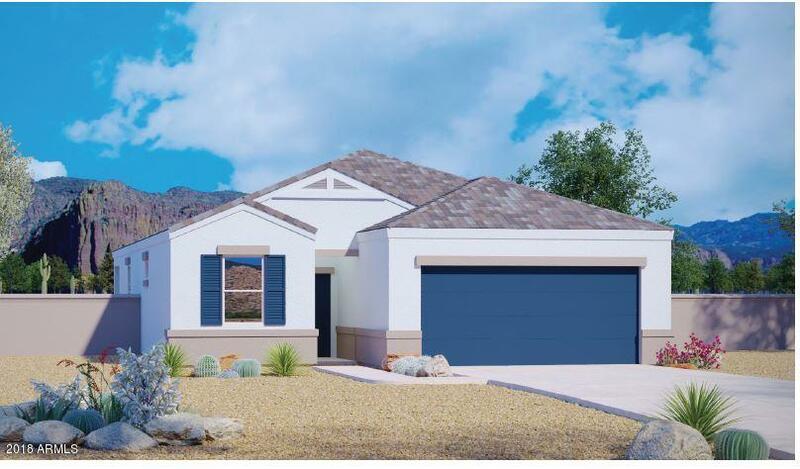 Comes with a complete appliance package including side by side stainless steel fridge, washer & dryer, blinds and garage door opener. Come view our decorated model of this floor plan. Come see why Magma Ranch is one the best kept secrets here in Arizona!